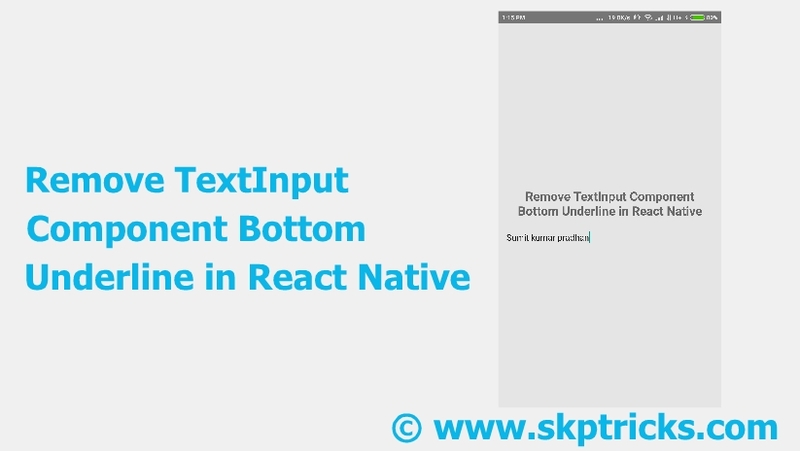 This tutorial explains How to hide bottom border underline present on TextInput layout component in React Native application. Text Input component by default comes with base bottom underline, shows just below the Text Input. 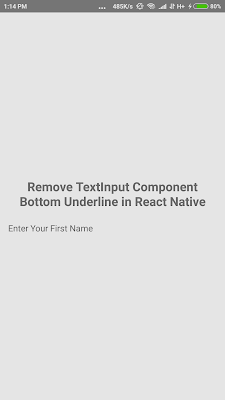 Sometimes developer needs to remove this line to use custom border. 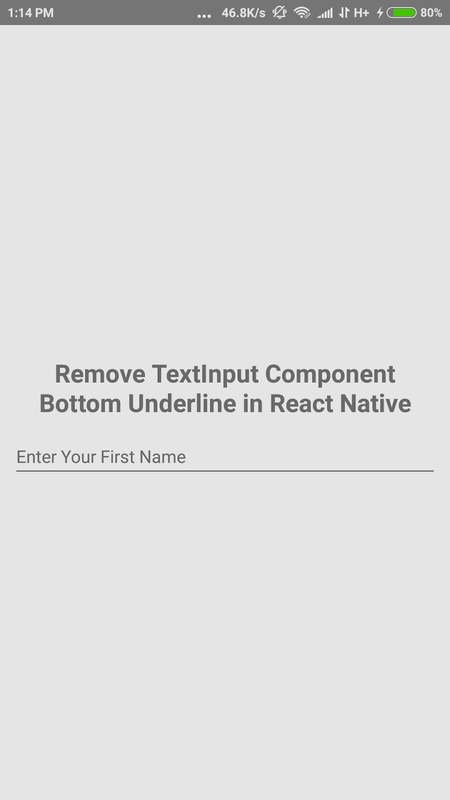 So here we are going to provide complete guide to hide bottom underline of TextInput component. underlineColorAndroid Prop would make the under line color as transparent so automatically the underline will be hidden. Create TextInput component inside the render block and specify the underlineColorAndroid="transparent" prop inside the TextInput layout, this helps you to hide bottom underline. // Adding hint in TextInput using Placeholder option. // Making the Under line Transparent. 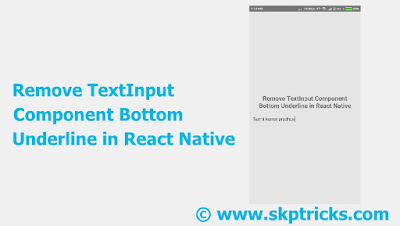 Lets see the complete source code that helps to Remove Text Input Bottom Underline in React Native application. 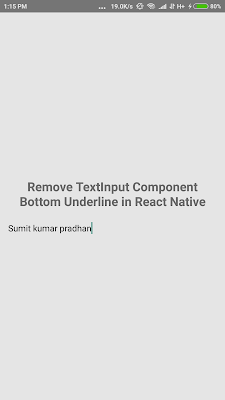 This is all about hiding Remove TextInput Component Bottom Underline in React Native. Thank you for reading this article, and if you have any problem, have a another better useful solution about this article, please write message in the comment section.